Psychologists’ ethics rules require them to put the needs of their clients first; in this case, that would be the kindergarten student. The ethics rules in Maryland and the District of Columbia, the relevant jurisdictions, prohibit a psychologist from having an affair with a parent of someone he is counseling. So why sue the school? 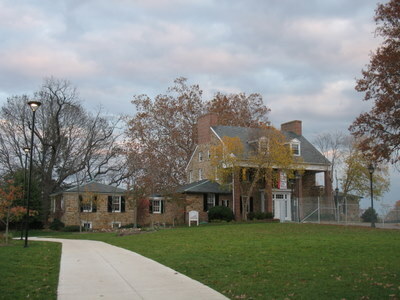 The complaint charges the school with “negligent supervision” — claiming that the school had an obligation “to supervise the employees under its control in order to prevent them from harming students in its care.” Thus, any emotional harm to Arthur Newmyer and to his daughter as a result of Huntington’s actions could be legally placed at Sidwell’s door. The complaint says that school officials knew that Huntington was counseling the girl, knew of the affair, and consented to the affair, continuing “to support his actions for nearly a year” until he left the school. Expect the school to contest these allegations. Tara Newmyer’s attorney has said that Huntington was not treating her daughter “in any professional capacity,” and according to The Washington Post, the school sent a letter to parents asserting that it “does not believe that anyone it employed ever had a therapeutic relationship” with the girl. So this interesting and sad case will require some factual development before anyone can predict its end. Still, one has to wonder: if the situation described in the Complaint caused the young daughter so much “emotional distress, mental anguish, humiliation, [and] embarrassment,” then is filing this high-profile lawsuit really the best thing for her?